Executive summary: Lear Jet, Inc. Invented a portable radio designed for automobiles, which he sold to the predecessor of Motorola in 1924. With this funding he designed a universal amplifier, which he sold to RCA in 1934. And with this money he founded Lear, Inc., which manufactured aviation communications equipment, soon becoming the largest provider of it. Lear wanted to build a low-cost jet aircraft intended for the business market, but Lear Inc. did not want to enter this market. Lear sold his shares and founded Lear Jet Industries in 1962. This venture was successful, mass producing an aircraft in 1963, and Bill Lear exited this business in 1969 to form Lear Motors, Inc., a less successful enterprise. Among his other inventions are included the eight-track tape player. 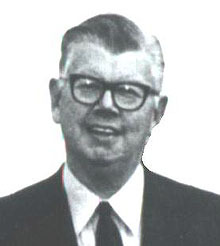 Son: William P. Lear, Jr.